Under new chairwoman, will gaming commission get to see the full report on Wynn Resorts? 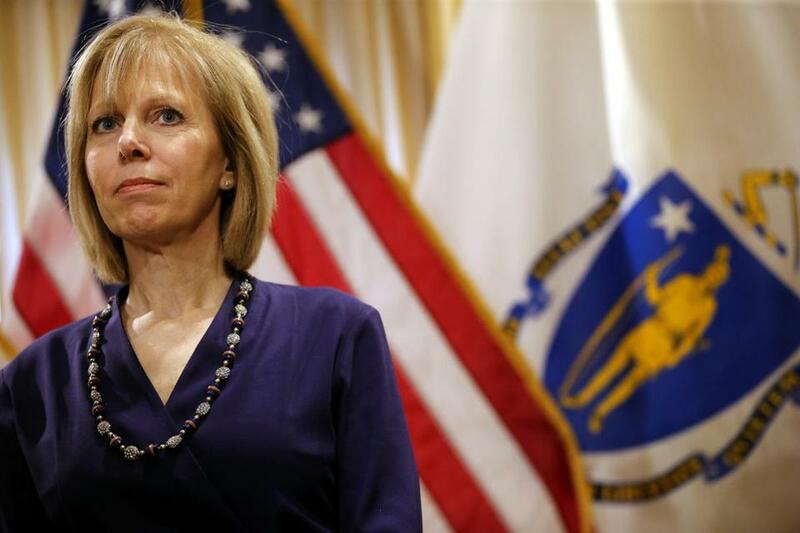 Governor Charlie Baker named Cathy Judd-Stein as chair of the Massachusetts Gaming Commission, at the State House on Tuesday. There’s one really pressing question for Cathy M. Judd-Stein as she takes over the thankless job of chairing the Massachusetts Gaming Commission. Will the commission get to see the full report it ordered up and paid for regarding Wynn Resorts? Complete access to those findings is the only way to tell if Wynn Resorts has rid itself not only of Steve Wynn, but also of top company managers who covered up his alleged sexual misconduct. And knowing that is the only way to fairly judge whether the Nevada company remains suitable to operate a casino in Massachusetts. A Nevada judge temporarily stopped the report’s release, after Wynn filed suit last fall claiming that some information turned up by investigators violated attorney-client privilege. However, at a press conference announcing Judd-Stein’s appointment, Governor Charlie Baker said he believes the gaming Commission should release everything it has. “I’m not a lawyer. But as a policy maker, I think the answer is yes,” Baker said. She also deserves credit for saying yes to what might be the least coveted spot in state regulatory history — taking on oversight of the opening of Encore Boston Harbor, and the legal quagmire bogging it down. Judd-Stein will also have to navigate the politics of a commission that has been through multiple firestorms involving the Everett casino. Then again, women are often called in to save a sinking ship. Wynn left his company last February after multiple allegations of sexual misconduct were reported by The Wall Street Journal. Wynn’s ex-wife, Elaine, who is now the company’s largest shareholder, knew about her husband’s alleged behavior, which he denies. But Wynn Resorts contends it has put the past behind it by remaking the company’s board and top management. Still, besides Elaine Wynn there’s one other holdover from the Steve Wynn era: Matt Maddox, the current CEO of Wynn Resorts. At Steve Wynn’s side since 2002, Maddox previously served as chief financial officer and president, and, according to The New York Times, was close enough to Wynn to be in his wedding party (for a subsequent marriage). What Maddox knew about allegations of Wynn’s sexual misconduct and when he knew it are critical issues. They go to the heart of his character and honesty, and the suitability of Wynn Resorts, with Maddox at the helm, to operate Encore Boston Harbor. The full report likely sheds light on that and more. But Steve Wynn’s legal maneuverings have so far kept it from the Gaming Commission. The previous commission chair, Stephen P. Crosby, resigned in September, leaving only four members to mull the suitability matter as Encore Boston Harbor marches forward with its planned June opening. At the Tuesday press conference, Judd-Stein offered no details about her plans or perspective regarding the issue. Let’s hope that translates to a pure commitment to getting the full report before the commission and the public, where it belongs.